From 39€ per night - 46 rooms of 7 types. 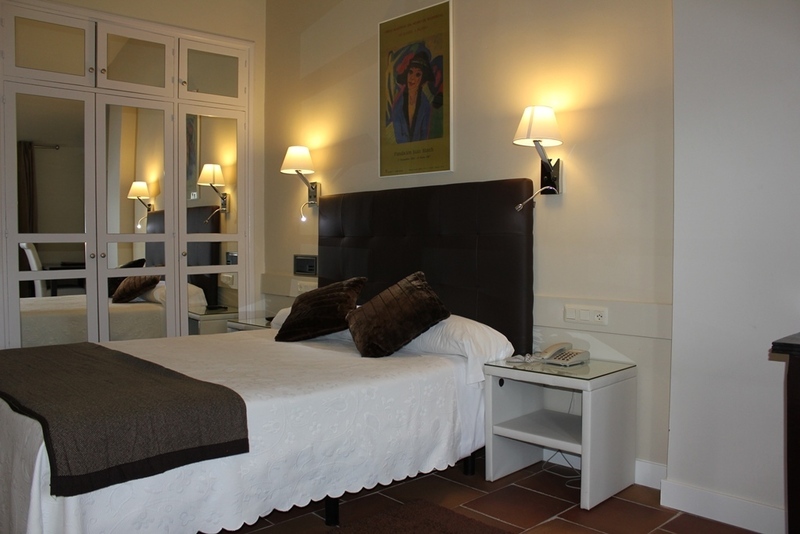 Rooms with views of the most majestic street in the old town of Cuenca, Calle San Pedro. 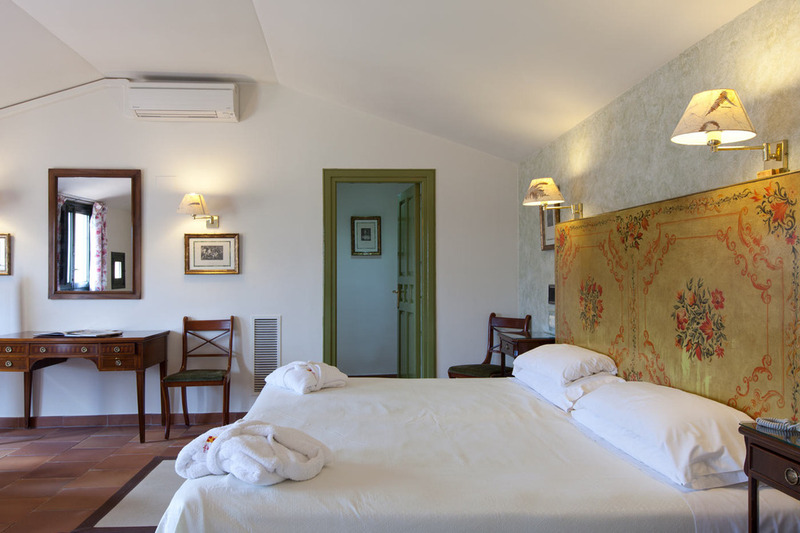 Every room has its own original and unique design with elegant details and is fully equipped, including 1 double bed or 2 twin single beds. 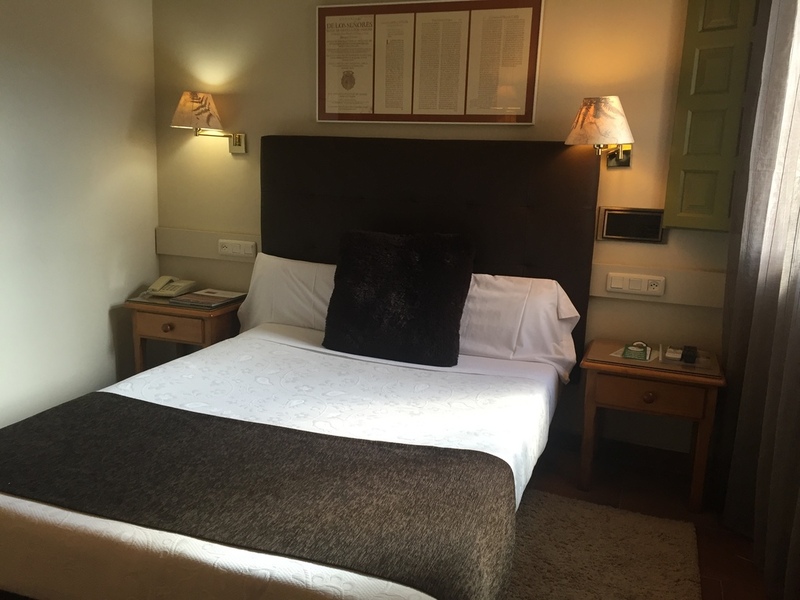 If the booking is for 3 people, please choose the option of an extra bed or baby cot in the next step of the booking. 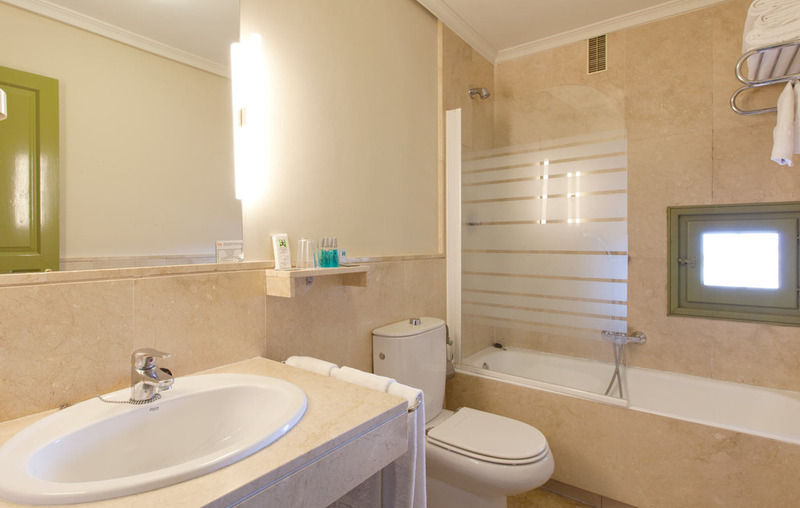 Single rooms with a large double bed for maximum comfort. They are fully equipped and include air-conditioning and free Wi-Fi Internet connection. 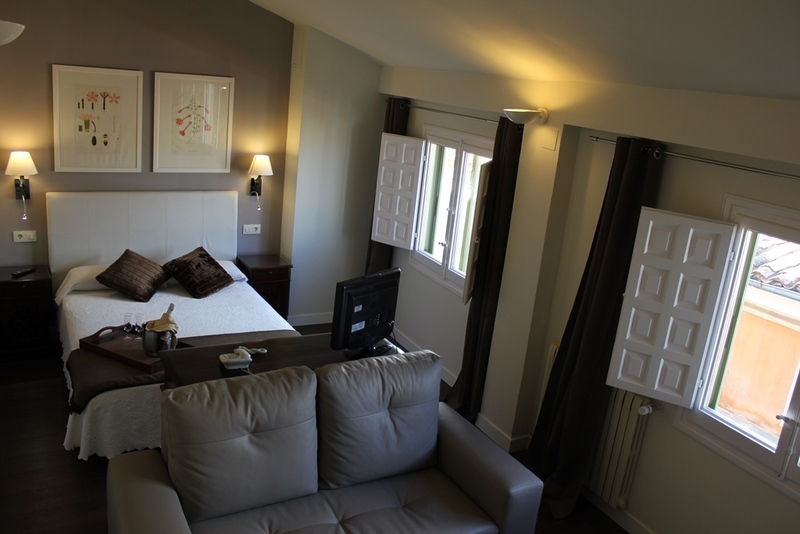 Designer rooms with a 40” TV, hydromassage cabin and incredible views of the Huécar river gorge. Weather permitting, from this room you will be able to witness one of the most spectacular sunrises you have ever seen. Room made up by two independent spaces separated by a door and a common en-suite bathroom. 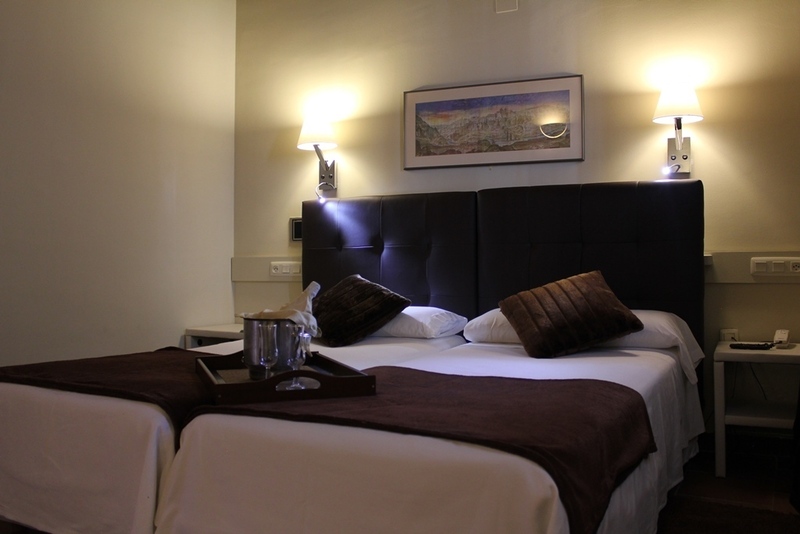 The room is equipped with 2 single beds and a Queen-size sofa bed. If you make a booking for 5 people, please choose an extra bed or baby cot in the next step of the booking. Exclusive room, unique in the hotel, which integrates a small yet cosy living room with a Super-King-size bed and a large and majestic bathroom with two basins and a hydromassage tub. It also has a large terrace from where you can enjoy the best views of the city. We insist, there’s only one of them!